Aidan James, 28, is on trial in London for engaging in acts of terrorism and attending a place used for terrorist training. 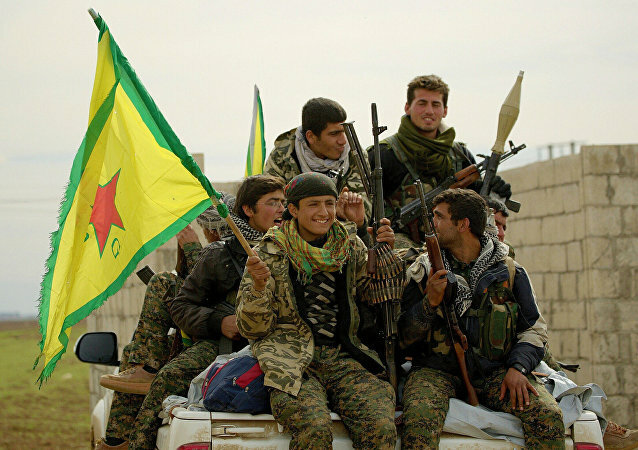 The YPG is not a proscribed organisation in the UK, although the PKK is on the list of banned groups. ANKARA (Sputnik) - Turkey has allowed flights to the airport in the city of Sulaymaniyah in Iraqi Kurdistan to resume after lifting a ban that was imposed after the 2017 independence referendum in the region, the Turkish minister of transport said on Wednesday. MOSCOW (Sputnik) - Masoud Barzani, the former president of the autonomous Kurdistan region in Iraq, on Monday met with Brett McGurk, the US special presidential envoy for the global coalition to defeat the Daesh* terrorist group, Barzani's office said in a statement. 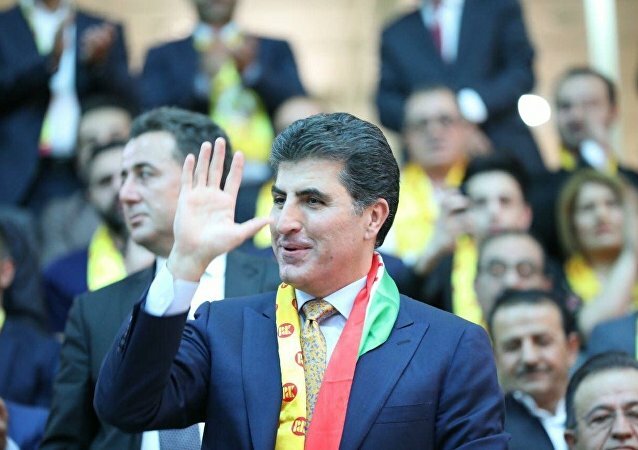 The Kurdistan Regional Government (KRG) is in the process of forming a new government following parliamentary elections in late September, with the respective parties putting forward their candidates for high-level governmental roles. 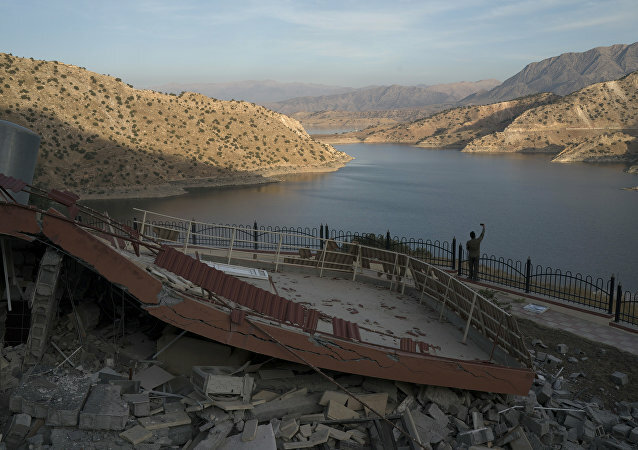 MOSCOW (Sputnik) - The European-Mediterranean Seismological Center (EMSC) said the Iraqi-Iranian border region had been hit by the 6.3-magnitude earthquake. The tremors were registered at 16:37 GMT on Sunday, 163 kilometers (over 100 miles) northeast of the Iraqi capital of Baghdad and 20 kilometers southwest of the Iranian city of Sarpol Zahab. MOSCOW (Sputnik) - The autonomous Kurdistan Region will start a serious dialogue with Baghdad to resolve all differences between both sides once the new Iraqi government is fully formed and begins working, Hoshyar Siwaily, the head of the Kurdistan Democratic Party's (KDP) foreign relations office, told Sputnik on Monday. The outcome of the May 12 parliamentary vote in Iraq plays directly into the hands of Tehran, analysts told Sputnik predicting that Iran's influence in the region would increase as Iraq's leading Shiite parties are about to take the majority of the seats in the country's parliament. 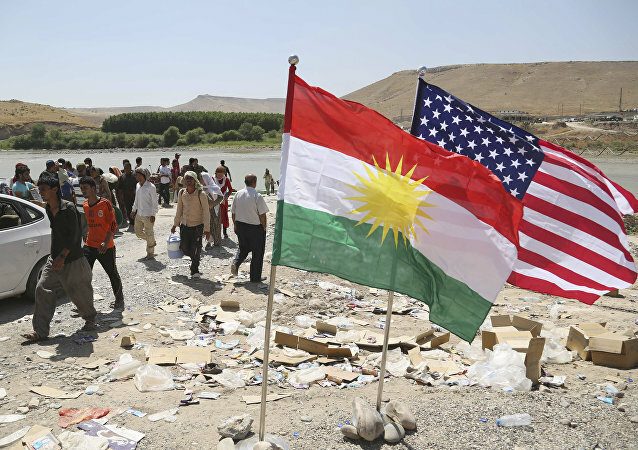 MOSCOW (Sputnik) - US Ambassador to Iraq Douglas Silliman and Kurdish Prime Minister Nechirvan Barzani led the groundbreaking ceremony for the world's largest US consulate in Erbil, the capital of Iraqi Kurdistan, local media reported Monday. Tribal members live in all four parts of greater Kurdistan, particularly Iran, Iraq, Turkey, and Syria, strengthening relationships among tribal members during annual festivals. The Iraqi town of Sinjar risks turning into a second Afrin, after Turkish ground forces reportedly invaded the territory of northern Iraq under the pretext of the fight against Kurdish militants, Iraqi observers told Sputnik. It was earlier reported that the militants had left the region in accordance with the demands of local authorities. 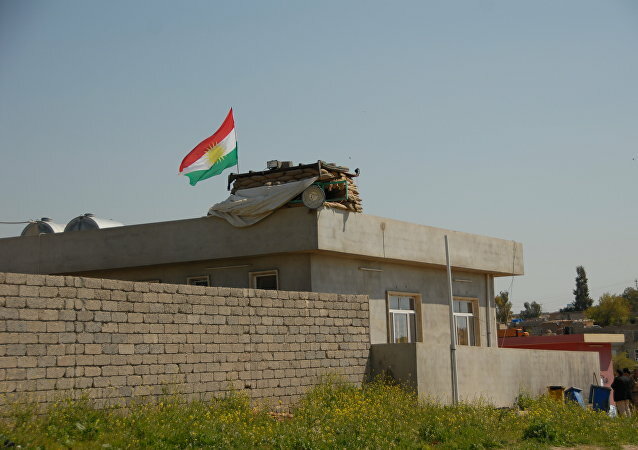 A representative of the Peshmerga, the Kurdish military forces in Iraqi Kurdistan, told Sputnik that claims by the Kurdistan Workers Party (PKK) about having retreated from Sinjar were actually a ruse. Security forces in the Kurdistan Region of Iraq attacked peaceful protesters who were expressing their discontent over salaries cuts, which is an unacceptable violation of citizens' rights, a prominent human rights watchdog said on Wednesday. CAIRO (Sputnik) - The airports of Iraqi Kurdistan were reopened on Wednesday for international flights to and from the region, local media reported, citing the Iraqi Parliament. 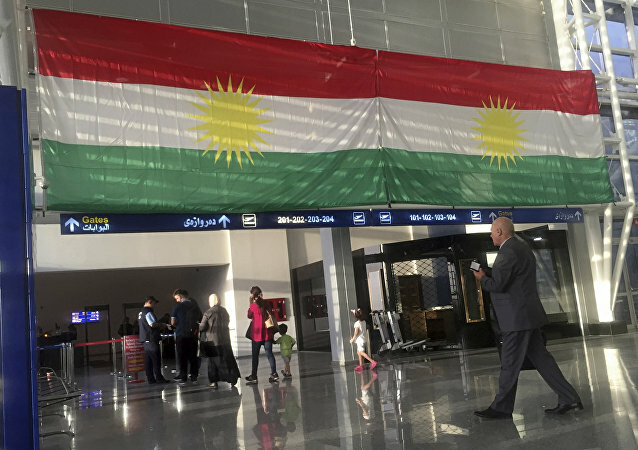 CAIRO (Sputnik) - The Iraqi government on Tuesday lifted the ban on international flights to the autonomous region of Kurdistan six months after it was introduced following the independence referendum in the region, the press office of the country's prime minister said on Tuesday. A delegation from the Iraqi federal government arrived in Iraqi Kurdistan’s capital to discuss an emergency financial agreement with the Kurdistan Regional Government (KRG) on Sunday, local media reported, citing an informed source. The KRG has been under financial strain ever since it lost control of a number of disputed oil fields in late 2017. 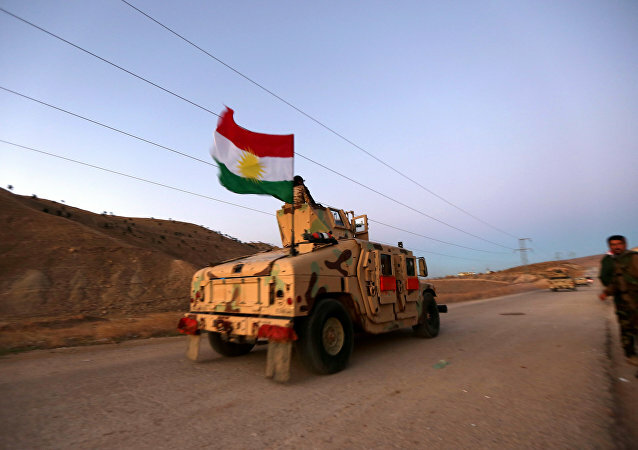 Iraqi forces, including militiamen from several Popular Mobilization Units (PMUs), used Iraqi Kurdistan’s referendum as a pretext to attack Kurdish Peshmerga troops, and retake the oil-rich city of Kirkuk, last October. CAIRO (Sputnik) – The Iraqi parliament adopted amendments to the country’s budget for 2018 despite protests of the Kurdish lawmakers, member of the Iraqi parliament’s finance committee Masud Haidar said. 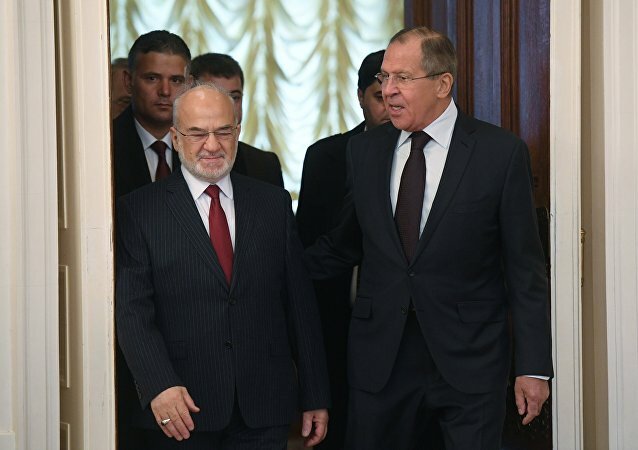 MOSCOW (Sputnik) – Turkish military presence in Iraq’s Bashik is an occupation and is affecting Ankara-Baghdad relations, Iraq will use dialogue to resolve this issue, Haidar Hadi, Ambassador of Iraq to Russia said Tuesday.